India's top exported car does not even sell in India! India’s top exported car does not even sell in India! India has become a global export hub for the car manufacturers. General Motors, which has packed its bag from the Indian market earlier this year topped the chart of most exported cars and SUVs in the first half of Financial Year 2018. Chevrolet Beat, which does not sell in India anymore is the highest exported vehicle. 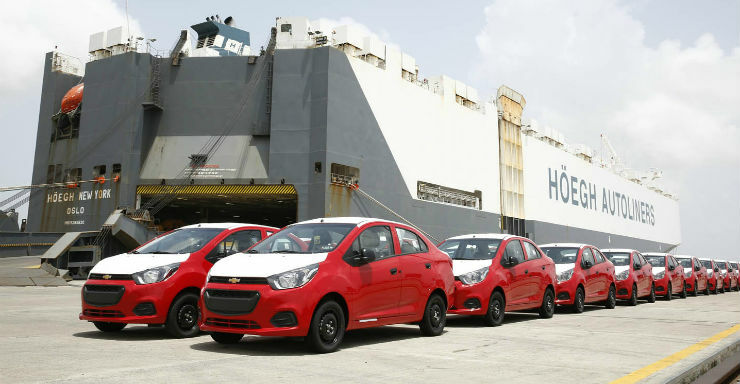 General Motors exported a total of 45,222 units of the Beat in the first six months of the fiscal year 2018. The American manufacturer exports left-hand-drive Chevrolet Beat from its Talegoan factory near Pune. The export market includes Chile, Central America, Peru and Argentina. The new Beat was scheduled to be launched in the Indian market when GM decided to shut its shop in India. The Nissan Micra, which was once most exported vehicle from India has slipped down to the tenth position with 13,599 units exported in April-September financial year 2018. The export dipped from 39,017 units after the Japanese car market shifted the manufacturing base from India to France. Interestingly, Nissan also exports the Sunny, which is at the ninth position on the list with 13,847 units. The Ford EcoSport has also slipped from the top position that it held last year to the third position this year. The American car manufacturer has exported 39,935 units of the vehicle in April-September FY 18. The car manufacturer also exports the Figo hatchback and the Figo Aspire. Both the models saw a rise in export this year. The carmaker exported 26,331 units of the Figo and 16,081 units of the Figo Aspire. Hyundai, which exports the Creta and the Grand i10 remain at the same fifth and sixth position, similar to the last year standings. Hyundai has exported 25,940 units of the Creta and 19,719 units of the Grand i10 from India. The Xcent is not present in the top-ten list this year. Maruti Suzuki has exported 18,869 units of the Baleno in the same period. The Baleno saw a decline of 18 percent from 22,997 units from last year.